This weekend was damp, grey and cold, it wasn't a weekend for taking pictures at least it didn't feel that way. I decided to take some time and go through some older pictures and take a second look at composition. The purpose behind it is that if I can see what I've been doing wrong, I can improve it in the future. I've decided to put these side by side so that it's easier to see the differences between the two images. 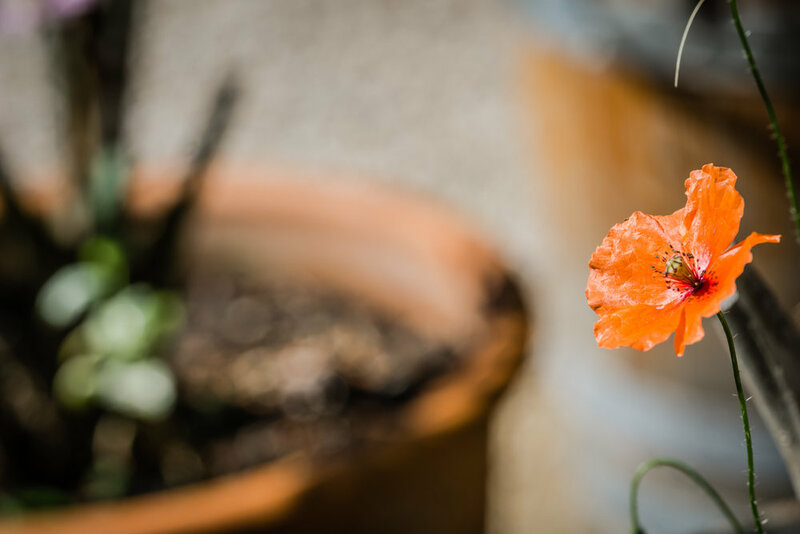 I felt that the poppy was lost and outweighed by the size of the plant pot and the leaves in it. I cropped the image to remove the leaves on the right as well as the light piece of grass coming in from the top. 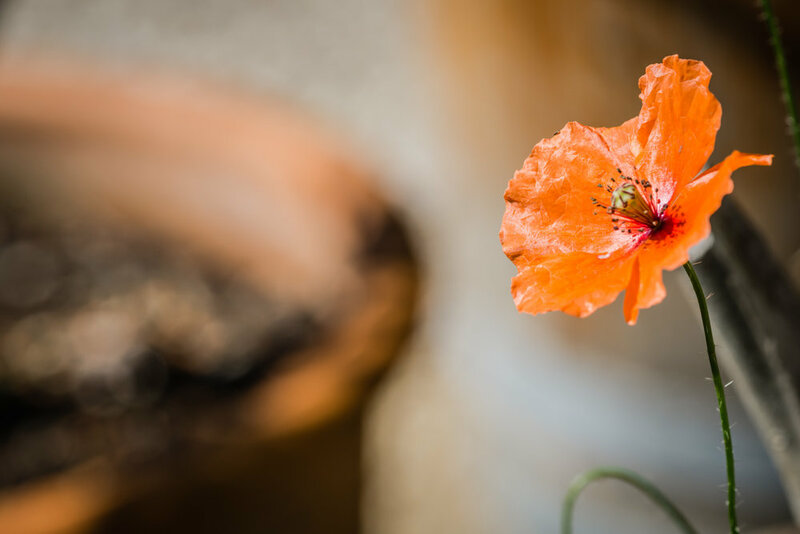 After the change the Poppy has a lot more prominence in the image and the terracotta colour of the plant pot balances the image and brings in a feeling of Autumn. I did basically the same with this image too. The dragonfly was lost in the middle of the image and the bokeh at the bottom of the frame was too heavy and distracting. By bringing the focus point down the bottom right I was able to remove the distraction while enlarging the Dragonfly too. And the same again. The Dragonfly was centred in the image and outweighed by the pink petals of the flower. When I look at the first image I feel that my eyes are hoping back and forth between the pink petals and the dragonfly. 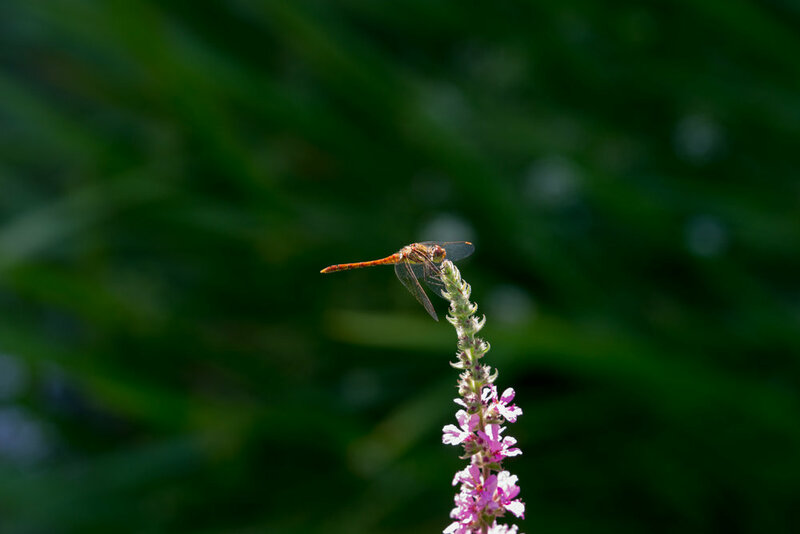 By cropping the image and placing the Dragonfly off-centre, it enlarged and emphasised the focus point. I've learnt that I need to think more about composition, which was the point of looking through the older images in the first place. I need to take note of what is happening in the background, think more about the other elements in the image and remember that the centre of focus doesn't have to be the centre of the final image. I like to get as much done in camera as I can. I use filters to create different effects and bring out details rather than depend on Lightroom, so I'd like to be able to get as close to the final composition as I can too.